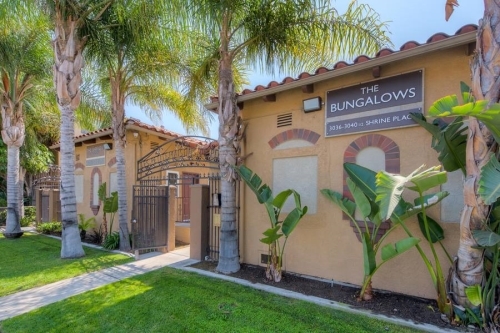 A true California vibe and intimate garden walkway guide you home to the Bungalows in a location that can’t be beat! 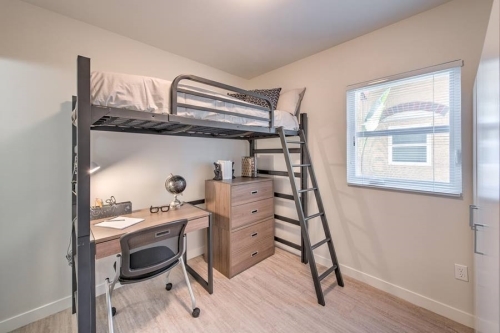 Featuring brand new fully renovated one bedroom units with direct access to the courtyard at Chez and the gym at Corsica. 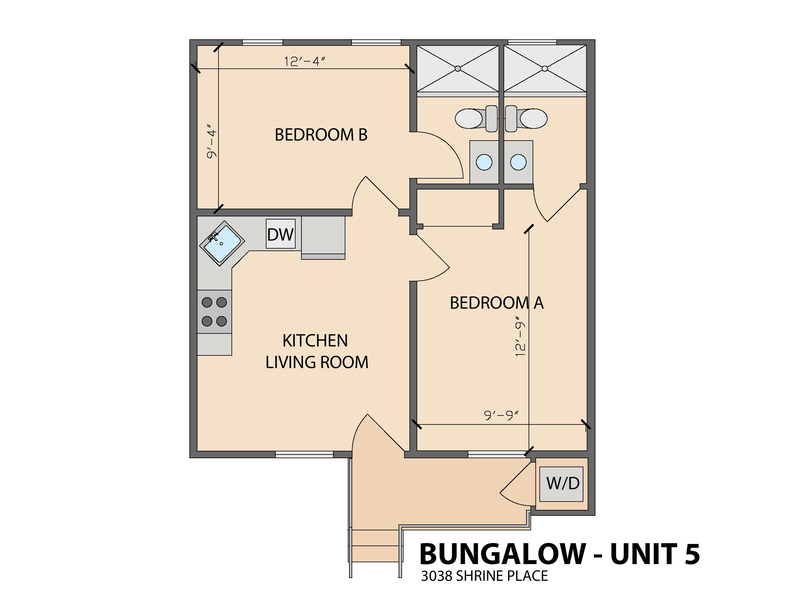 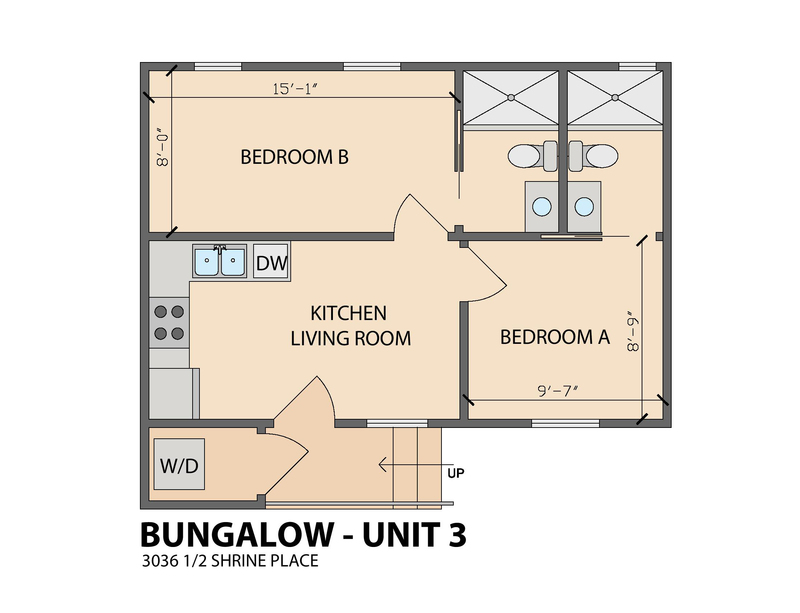 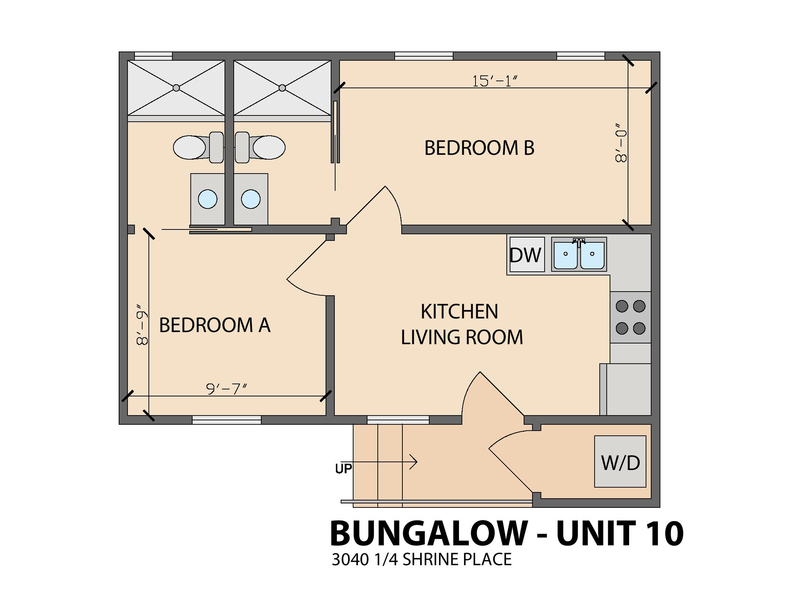 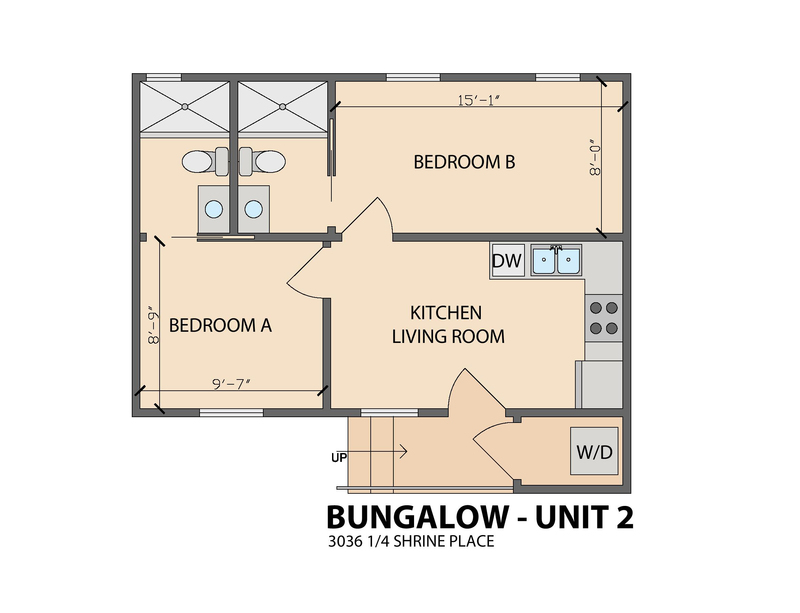 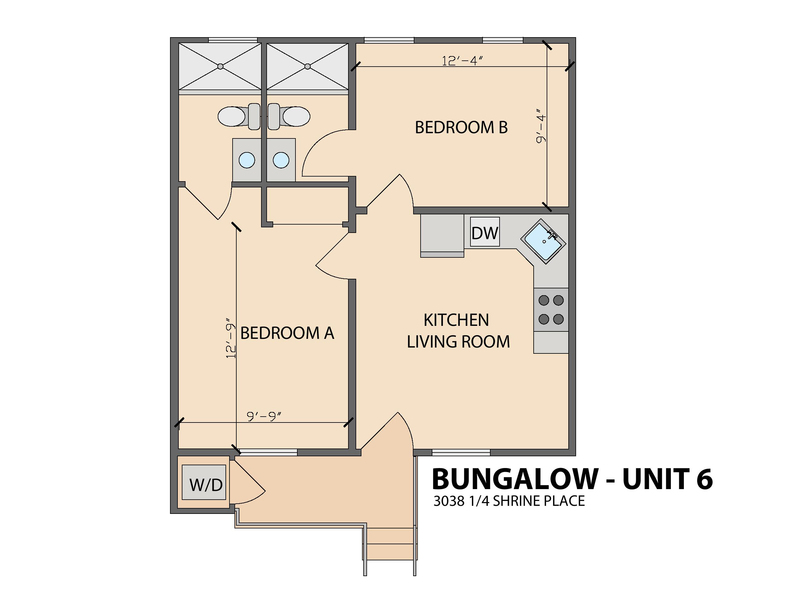 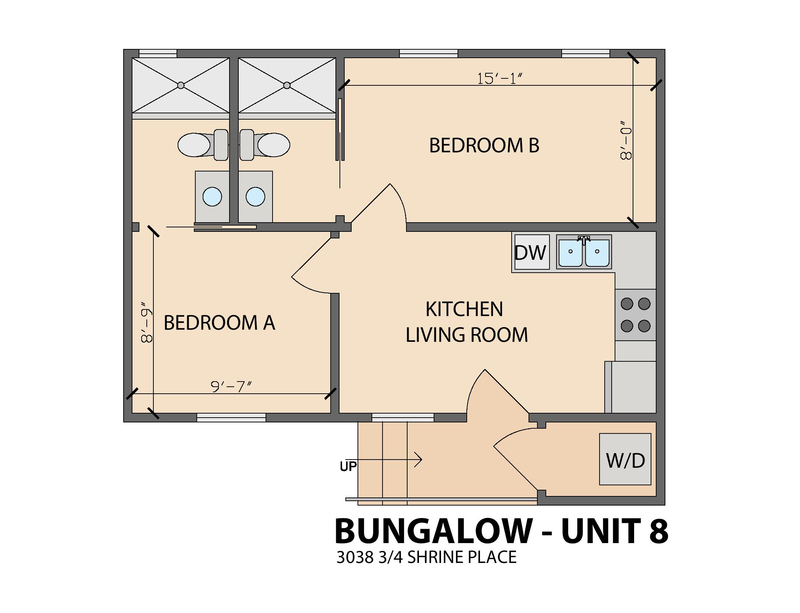 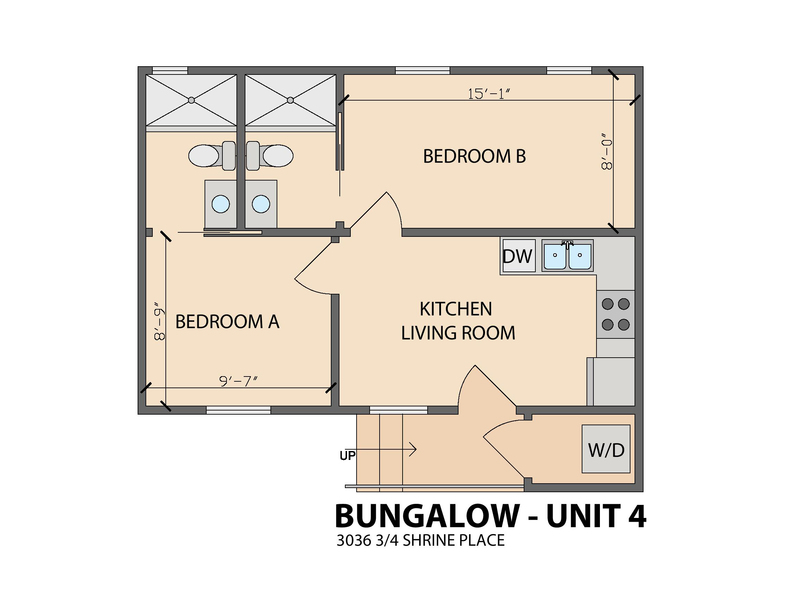 The Bungalows offer the best of both worlds – a place to get away just steps to the action. 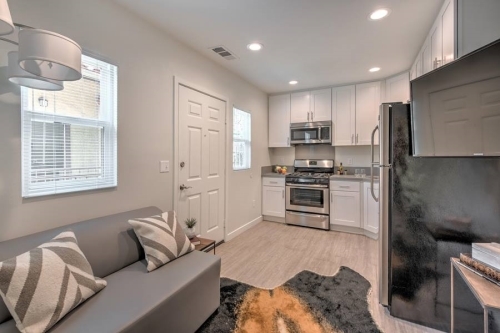 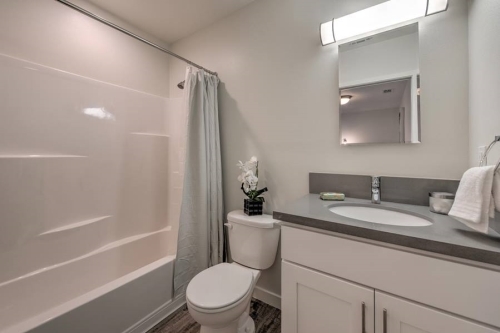 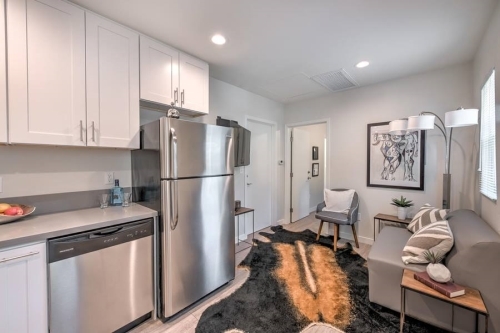 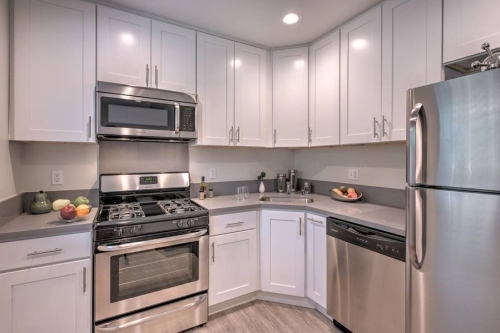 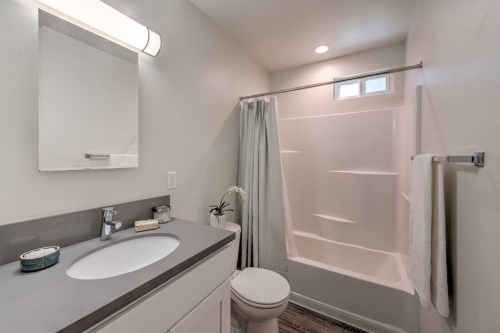 Like every building in the Shrine Collection, apartment interiors feature kitchens with brand new cabinets, sleek stone counters, stainless steel appliances, including a dishwasher. 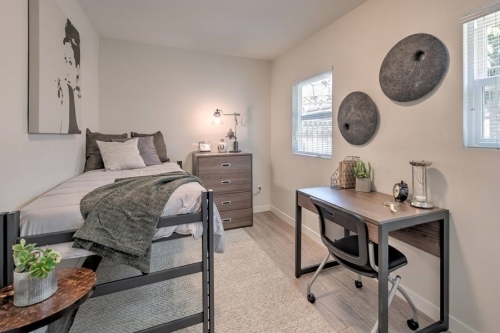 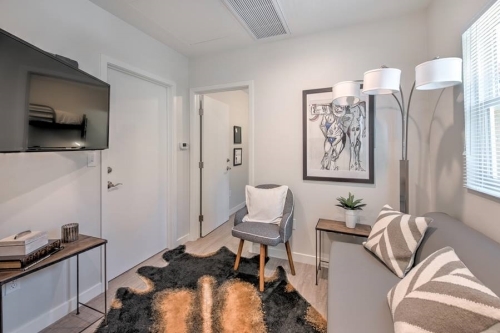 These apartments also come fully furnished with customizable beds to perfectly suit your needs - combine two singles to form a king, or loft them to create space underneath. 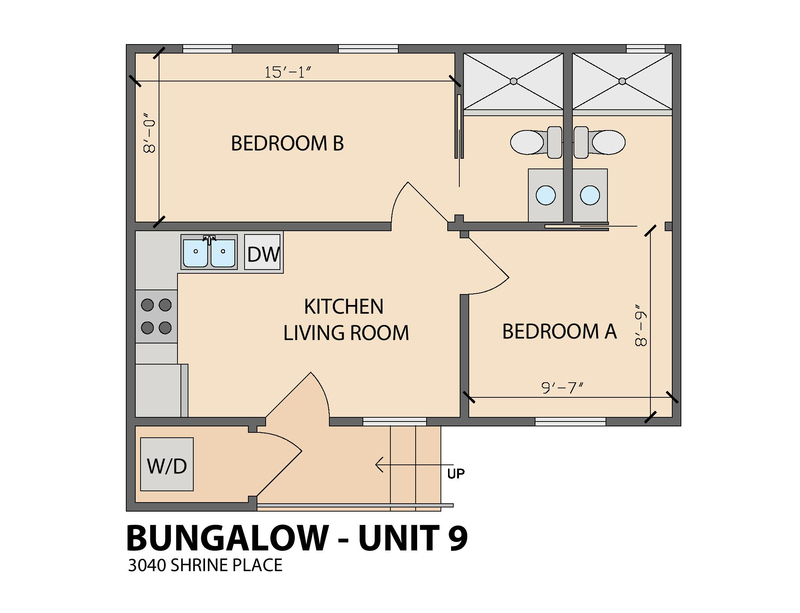 And there’s even more: remote controlled AC units and your very own washer and dryer inside your apartment! 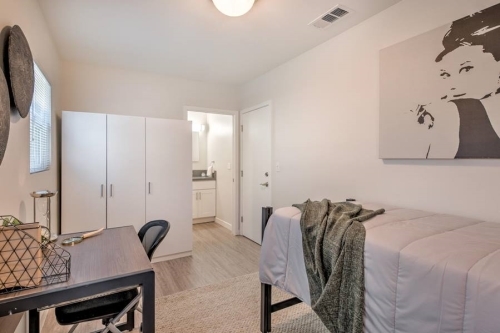 So don’t wait. 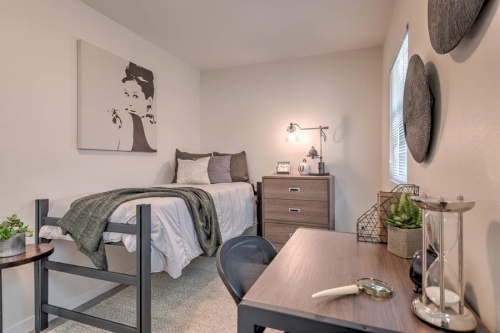 Apartments are being leased quickly. 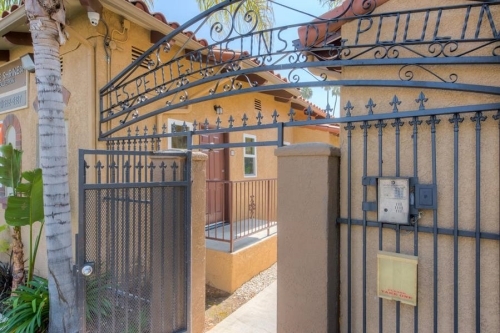 Come check out our Open House at Pisa #5 (3039 Shrine Place). 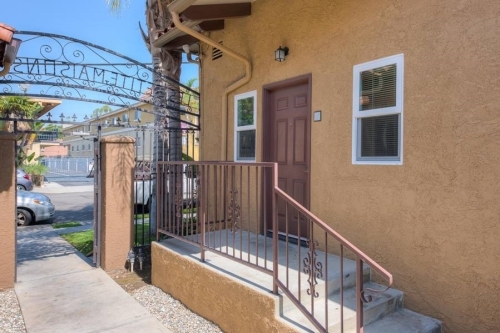 We’re open Monday - Friday 10 am - 6 pm and Saturday 11 am - 6 pm. 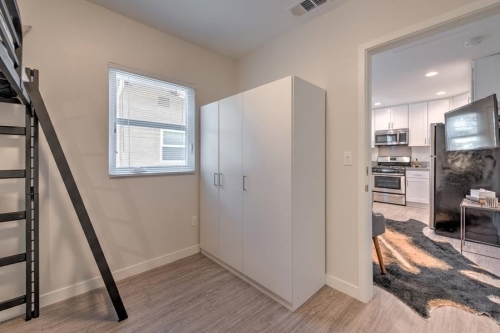 Disclaimer: Pictures shown are of a model unit at Pisa, and are only meant to provide an example of the finishes that will be installed at the otherShrine Collection​ properties. 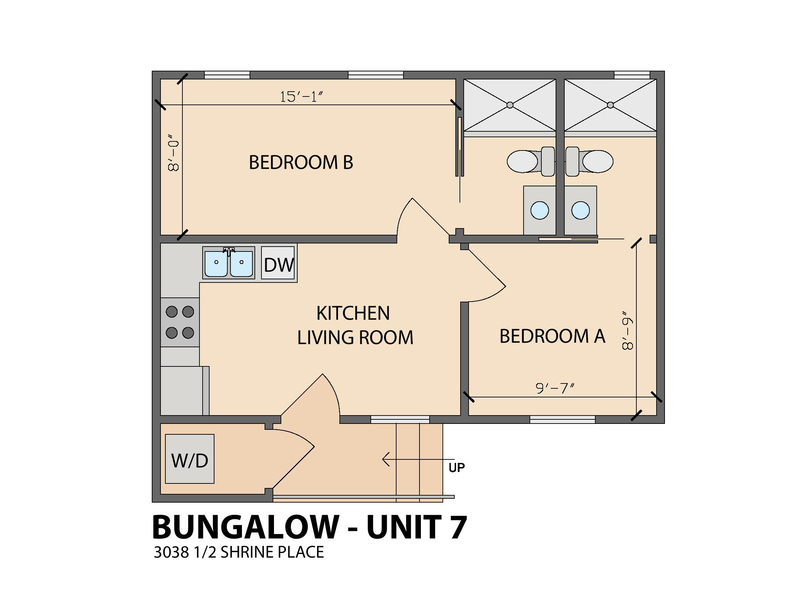 Apartment layout, floor plan, and size will not be the same from apartment to apartment and from property to property. 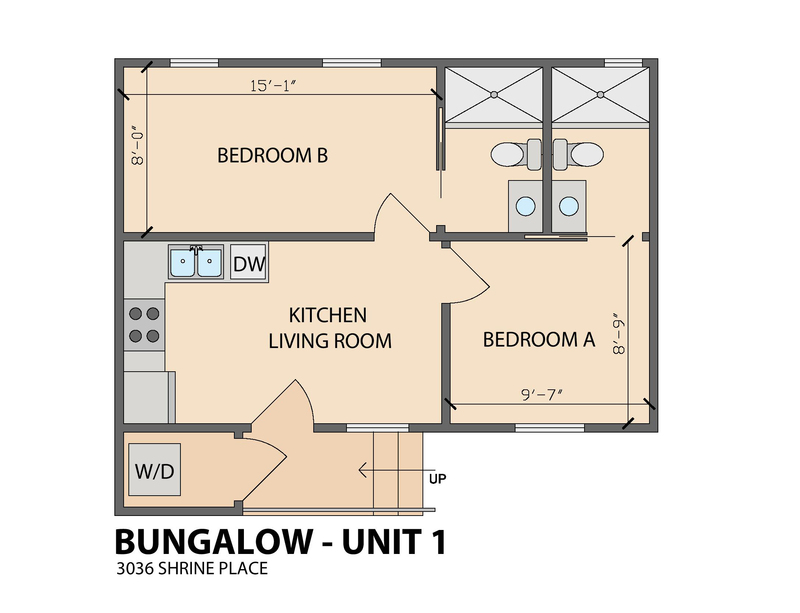 Please consult with a leasing representative for more information and details.